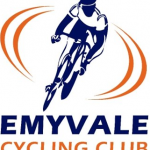 The Emyvale Cycling club Time Trial League will be starting on Tuesday evening, 7th August in Tydavnet. Sign on from 6.30pm at Tydavnet National School carpark. The route is from Tydavnet out the Clogher Road to near Bragan Crossroads where riders will be turned by marshals, and back to Tydavnet. It’s a rolling course on the way out but fast on the way back. The league is open to all clubs or anyone with a Cycling Ireland licence. There will be different categories for Time Trial bikes and road bikes. Youth cyclists more than welcome. Sign on is €20 for 5 events ( payable on 1st night ) or €5 per night. Youth sign on is € 10 (payable on 1st night ) or €3 per night. There will be tea/ coffee etc. after each event. Everyone welcome.